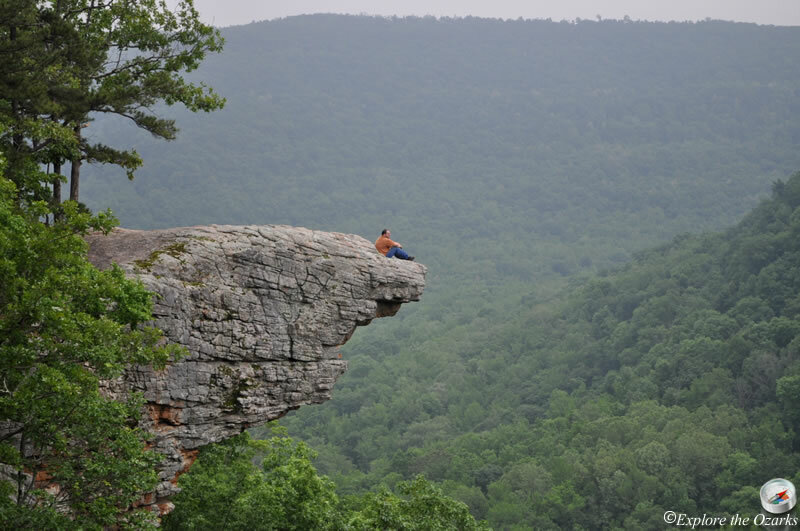 Directions: Hawksbill Crag Trailhead: Head south from Ponca through Boxley Valley. At the intersection of Hwy 43/Hwy 21, Turn Left/South onto Hwy 21, and go approx. 1.2 miles, past the old Boxley Church. Just before a bridge over the Buffalo River, Turn Right onto Cave Mountain Rd./County Rd. 5 (dirt, unmarked). Follow this road as it steeply climbs up Cave Mtn and eventually levels out on top. At approx. 5.4 miles from the highway, you will pass Cave Mtn Church, continue Straight ahead until you reach the trailhead at 6.0 miles. Boen Gulf Access: From the Hwy 21/43 intersection in Boxley Valley, continue South through Boxley Valley and across the Buffalo River as the highway starts to climb out of the valley. Continue past the comminutiy of Mossville, until you reach CR#6/FR#1410 at approx. 9.3 miles (2.5 miles south of Mossville). Turn Right and follow CR#6 approx. 0.3 miles and park at the Wilderness Access sign. There is a road behind the sign that goes a couple hundred yards to a registration box/bulletin board, but can be pretty rough, and would require 4wd. Dahl Memorial Access: From the intersection with Hwy16/Hwy21 in Fallsville, head East on Hwy16/21 for approx. 1.4 miles, then Turn Left onto FR#1463/CR#414. Go approx. 2.0 miles, then Turn Right onto a lesser road, FR#1463-A, just before FR#1463 goes down a steep hill. The parking area is just ahead. 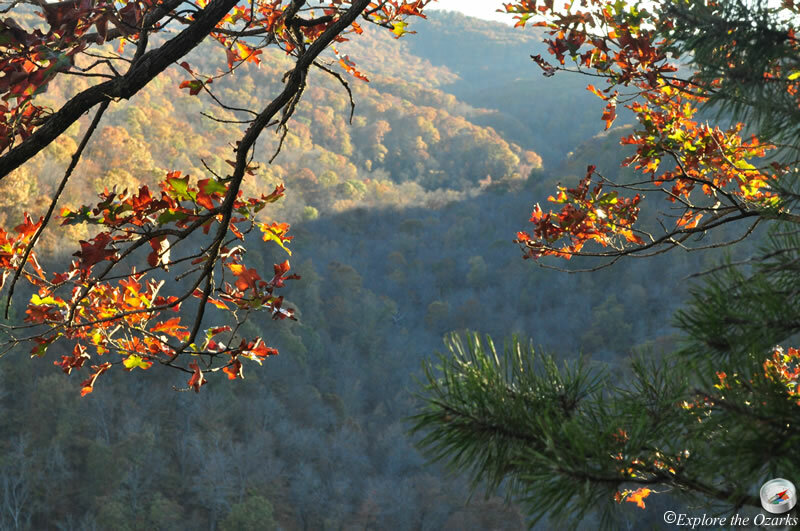 Protecting the headwaters of the Buffalo River, the Upper Buffalo Wilderness Area, located in the Ozark National Forest, offers 11,094 acres of boulder strewn & rugged scenery along one of the most beautiful rivers in the Ozarks. 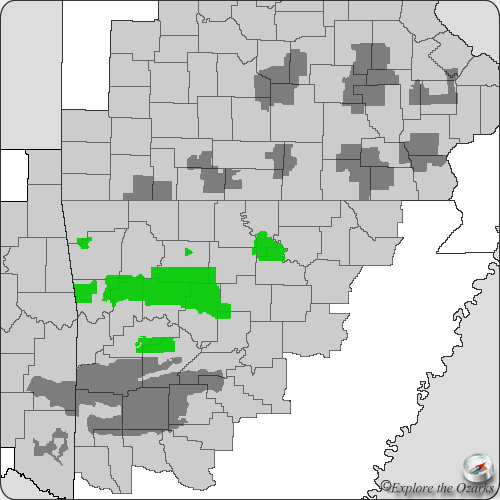 The first 17 miles of the river are protected, flowing north from the farthest measurable source up high in the Boston Mountains to the wilderness area border with the Buffalo National River. The Buffalo National River and Ozark National Forest borders meet near the 17 mile point along the river, completely protecting the entire river. 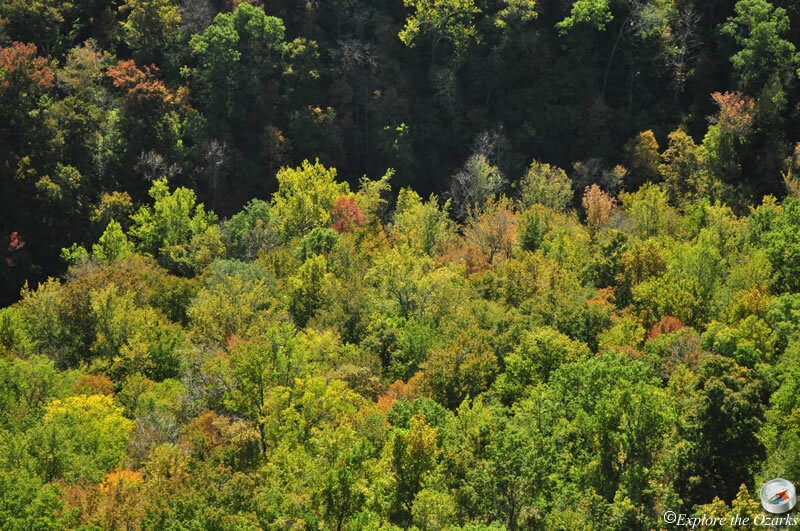 The Buffalo National River also has its own Upper Buffalo Wilderness Area, protecting an additional 4 miles of river and 2,200 acres of surrounding watershed. These two wilderness areas meet along the National Forest/National Park border, offering over 13,000 acres of pristine, rugged, and natural beauty. There are four main access points to enter the wilderness area, with directions to each described above. 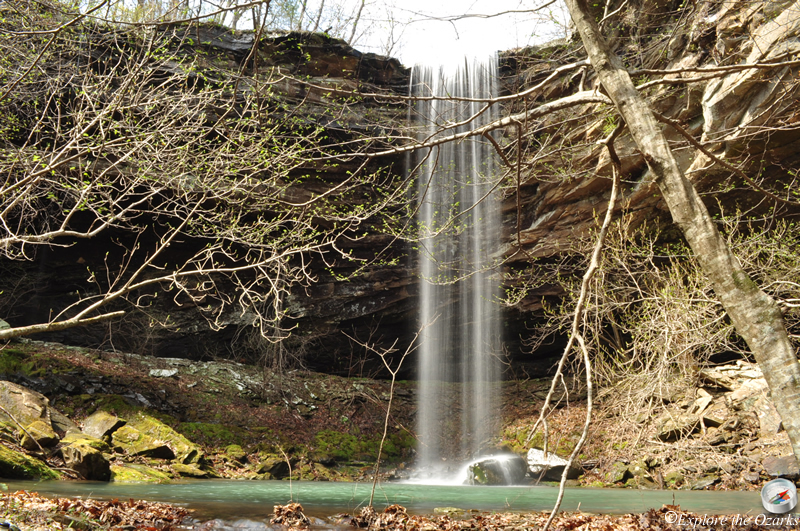 The most popular is the Hawksbill Crag trailhead. 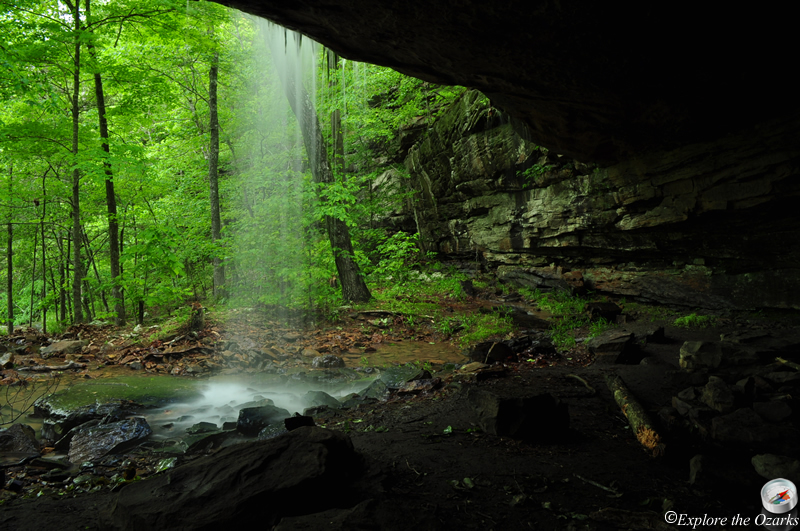 Although it is not an official trail, this is the only actual trail in the wilderness area, and leads to one of the most photographed and recognizable spots in Arkansas. While there are no official trails, there are a few old road traces and logging roads, built before the wilderness area designation, and these can be followed to allow deeper access into the wilderness. The numerous rugged and steep side valleys of the main Buffalo River valley are definitley worth exploring. 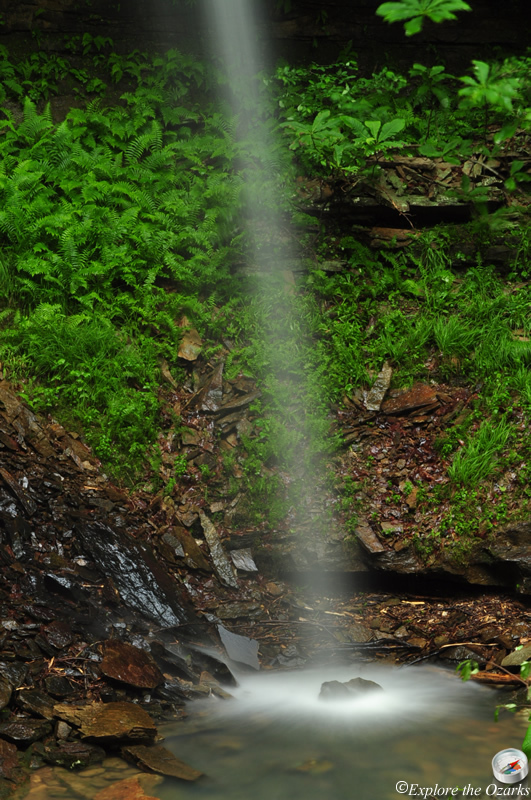 The Upper Buffalo Wilderness is home to numerous waterfalls, especially during the wet season. 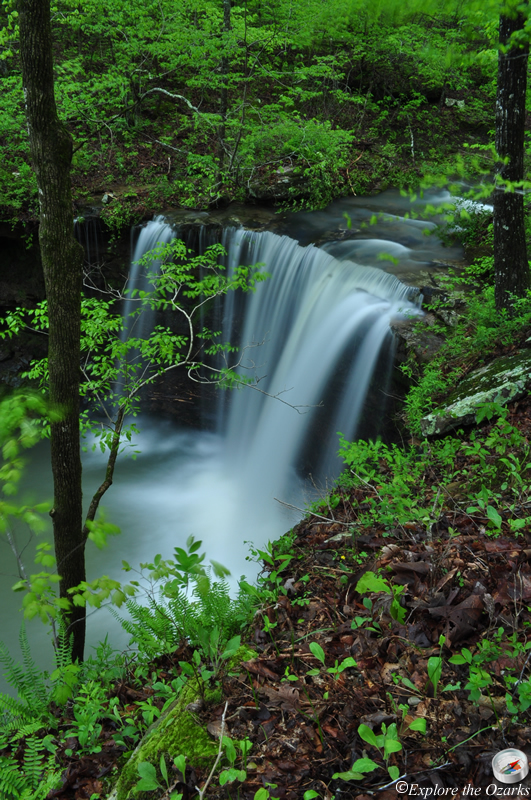 A few of them include Compton's Double Falls and Bowers Hollow Falls. 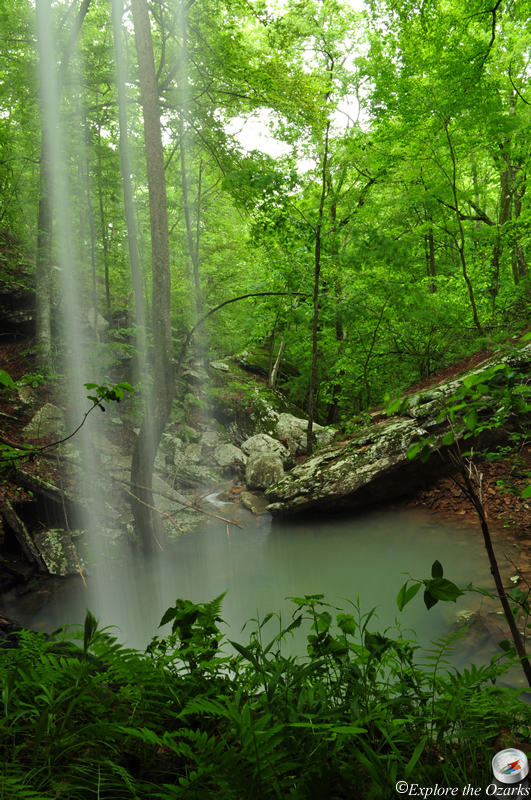 The enitre Bowers Hollow is worth exploration, and also leads down to Smith and McClure Falls. 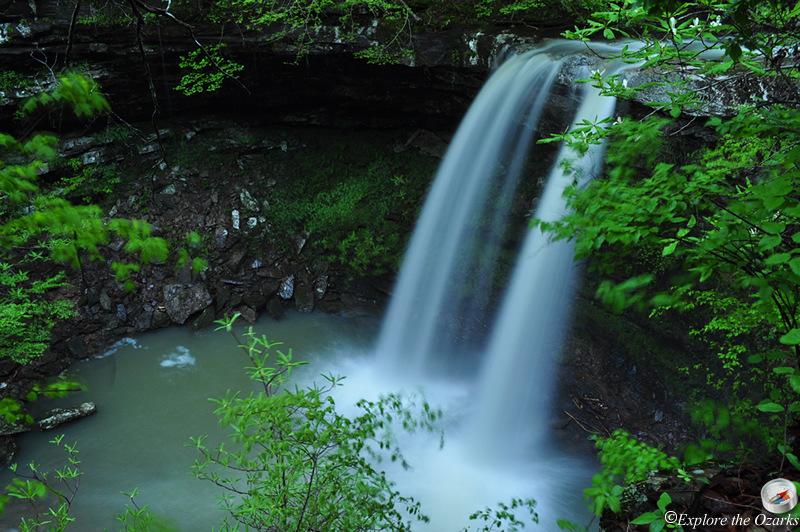 A few waterfalls are located near Hawksbill Crag, including one right along the trail, and include Haley Falls, Mule Trail Falls, and Thousand Kisses Falls.